Bajrangi Bhaijaan China 2nd Monday (11th Day) Box Office Collection. Solid Hold. 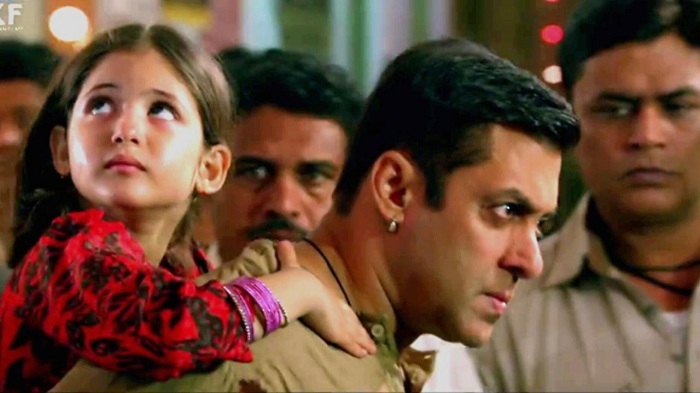 Bajrangi Bhaijaan has shown solid hold again on 2nd Monday (11th Day) at China Box Office. Thus, film should again show terrific trending through the second weekdays. Film registered a drop of just around 25% on 2nd Monday from 2nd Friday. Now we expect film to remain rock solid till 2nd Thursday. BB is expected to collect around $1.3-1.35 million on Day 11. Thus, BB total business expected after end of 11 days is approx $27.41-27.46 million. That is approx INR 178-178.5 crores. Film is now racing towards 200 crore mark. Film should touch 200 crore landmark in China by the end of 2nd Thursday. Superb performance of BB in second week so far has ensured film will cross 200 crore mark. In fact current trend suggest film should touch 250 crores by the end of its theatrical run in China. There are good chances of touching 300 crore or even more. For that film needs a strong hold on 3rd Friday. If film manages that then anything is possible. Week 1 -> 18.09 million. Mon -> $1.3-1.35 million (expected). Grand Total -> $27.41-27.46 million (INR 178-178.5 crores expected). SS and Dangal ka collection dekho 11 th day ka pata chal jayega Aamir ka stardom..
Eros aur sallu ko 25-30cr milenge shayad!! Mujhe yeh nhi samaj aa raha tu movie ka director hai ya producer Jo to itna khush ho raha hai!! will collect 40ml in china boxoffice debut which is far better than 3 idiots,Pk,Dhoom3.so you can see the power of Salman khan. Are ye salman ka first movie he china me,,or screen shows ss,dangal se come he, uperse 5 best filmo ka compition bhi he ,fir bhi movie chal raha he,pk ne kitana kamaya? amir to tab bhi popular hi tha na china me,,screen show dangal jitana kardo fir dekho 2000 cross kar dega. Excellent collection of a debut movie !! Only Indian actor whose debutant movie reached this acme of success in China ! !